As many as 75% of all adults have some form of gum disease, or periodontal disease. 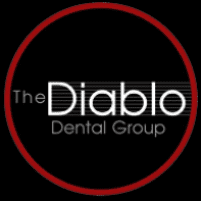 The team at The Diablo Dental Group, located in Danville, California, has extensive experience in prevention, diagnosis, and treatment of periodontal disease. Using cutting edge-treatments and technology, they can help your teeth get healthier than ever. For expert treatment of your gum disease, call or book an appointment online today. Gingivitis is an infection of the gums, caused by bacteria that proliferate in the tartar. Tartar is a calcified plaque on the surface of the teeth. Periodontitis is the progressive form of gingivitis, when the infection expands deep into the gums and reaches the bone. Bone loss can lead to tooth loss, and further spread of infection. Periodontal disease can affect more than just your oral health. It’s also a leading risk factor in other serious health conditions, such as heart disease, poor circulation, stroke, cancers, and premature births. Every dental exam at The Diablo Dental Group includes an assessment of your gum health. With early detection and appropriate treatment, you can reverse the symptoms of periodontal disease and decrease your risk of tooth loss. Prevention of gingivitis and periodontitis is key to treatment of periodontal disease. Periodontal disease is easier to prevent than to treat. However, with proper personal oral care and ongoing specialized treatment, it can be done. A deep cleaning regimen that removes tartar deposits from teeth that are causing inflammation and infection. Cleanings may occur every 3-6 months, as your gums naturally heal and recover. A deeper cleaning process to remove deposits and infection that have progressed to the roots of your teeth. Once these deposits are removed, your gums can heal and stop receding. These specialized cleaning methods are part of a long-term treatment plan. Depending on the severity of your periodontal disease, these treatments may take place over several visits. To get your periodontal disease treatment started, call or schedule an appointment online with The Diablo Dental Group.